Touchscreens are okay, but what about putting those pipes to better use? 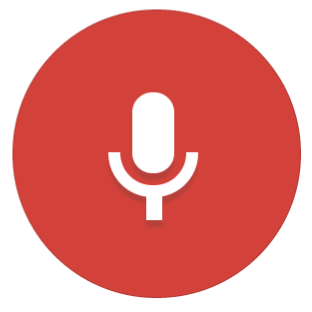 The description of one of Google's talks at I/O later this month points to an interesting new feature called Voice Access. Basically, instead of touching the phone, you talk to it to control apps. So essentially Star Trek? That'd be rad. [Weekend Discussion] What Was Your Favorite Android (Or Non-Android) Announcement At Google I/O This Year? Google I/O this year was absolutely packed full of exciting announcements not just for Android, but all sorts of stuff. From Project Soli and Jacquard to less exciting but much more practically relevant things like new Cast APIs, along with an absolutely slew of Android M features, there was a ton going on at this year's show. So, what at this year's show got you most excited? There really was a lot, so much that we're still digging through it at all (especially in regard to Android M), so think carefully, and check out our feature spotlight series if you're not sure you're remembering everything. 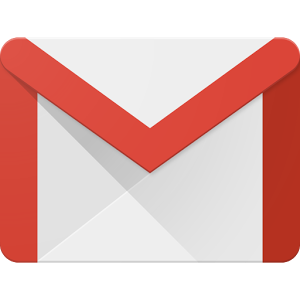 Almost a year ago, Google announced the Gmail API. Today, they're adding push notification support, meaning you no longer have to poll Gmail constantly for new messages if you're a developer or service utilizing that API, which is going to make the 3rd party Gmail app experience much better. If you want to know about implementation, you can read about it on the Google developers site here, and it sounds like it's going to be a pretty simple switch. Gmail offers both IMAP and its own native API for use by third-party developers, but only the official Gmail API supports features like threaded replies, drafts, specific permissions, native search, and more. Google's I/O conference app is generally considered a boon for developers. Each year the app is open-sourced following the conference, exposing the code beneath Google's latest design suggestions and functionality on Android. This year, however, Google is offering up another open-source goodie. In a post to Google+, Google Developers announced that this year the source of the I/O web app will be released for inspection. In fact, the ioweb2015 project is already available on Github. The dazzlingly-designed web app is mobile-first and offline enabled, and comes with a long list of impressive functionality. A few features Google chose to specify include "Polymer, material design, web components, service worker, push notifications, google sign-in 2.0, add to homescreen, and web animations APIs." Knowing that, it's clear that the site is well-rounded from functionality, design, and UX standpoints, so the source undoubtedly holds some treasures for intrepid developers. Before you read this article, do me a favor: watch the video below. Because it's going to explain what Google is doing here much better than I could hope to. Got it? Good. Pretty amazing, right? For those of you who can't or don't want to watch it, fine, I guess that's what writers are for or whatever! 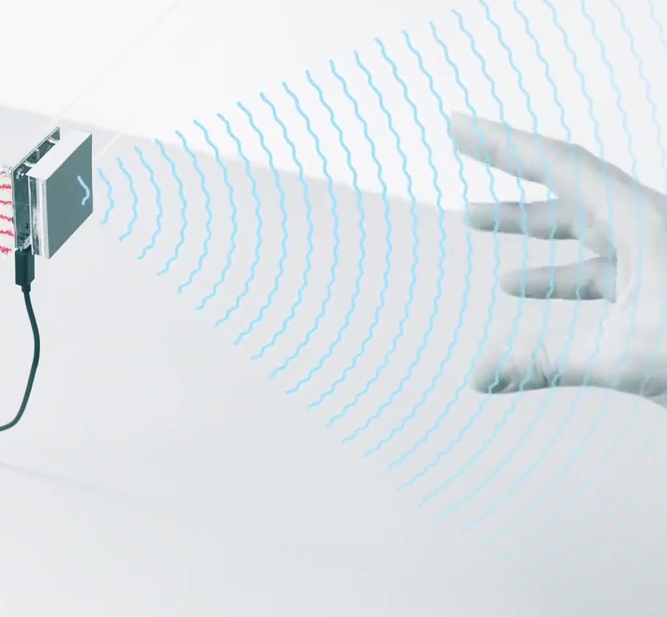 Project Soli is, at its root, a fingernail-sized radar chip and an advanced set of algorithms that interpret the data that the array feeds back into a connected device. The purpose of those algorithms is to analyze the fine-grain motions of your hands and fingers. Are you unexcited about Android Pay? Not liking your Wallet Card? 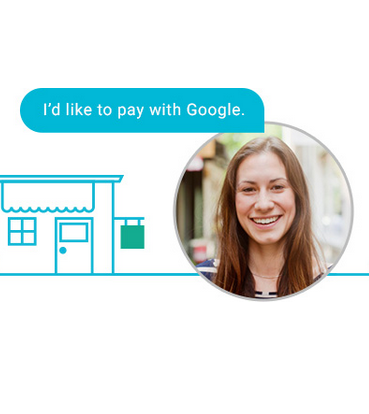 Maybe you just want another Google payment platform... because? Then I've got great news: Google Hands Free will be a thing at some point later this year. How's it work? I've got no idea, because Google doesn't actually tell us. Well, actually, we sort of do know, because Hands Free leaked as Plaso over three months ago. The idea here is similar to that of the now-defunct Square Wallet, which used a combination of proximity detection and a picture of your face to allow you to buy stuff without ever having to pull out a credit card, phone, or even your ID. Combining metallic alloys with natural or synthetic threads, Google's ATAP and its industrial partners have created Jacquard yarn. Named for Joseph Marie Jacquard's inventions, the yarn is the basis for ATAP's Project Jacquard, an effort to make it easy for textile makers to weave interactive surfaces into everyday textiles like clothes and furniture. These surfaces would ultimately control things like mobile devices, and perhaps evolve into experiences and functions of their own. Jacquard yarn allows these new surfaces to either be plainly visible or completely hidden from the user so, just like regular yarn, designers can decide exactly how a surface will appear - or not appear, as the case may be. What everyone thought was an innocent little experiment from Google during last year's I/O has turned into a full-on Virtual Reality venture from the company. 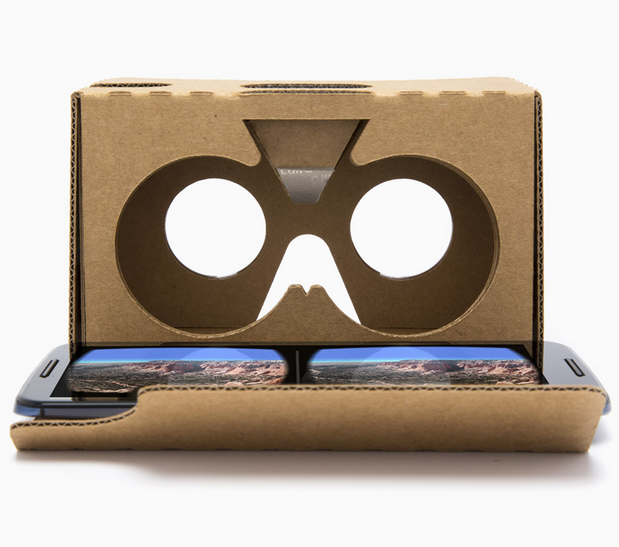 Cardboard, a piece of actual cardboard that you fold and insert your phone in for a make-shift low-cost VR display, has been getting more focus and momentum over the past year with 500 compatible apps and over 1 million viewers sold or given away. That rise culminated with a few announcements at yesterday's I/O keynote. First, the Cardboard hardware has been redesigned to be simpler to disassemble and put together, as well as work with bigger devices that have screens up to 6" in size. We're still weeding through the fantasmagoric dump of announcements, features, and all the new things that Google has gifted us with yesterday during its I/O keynote, and we now reach the company's push for a unified and improved Internet of Things ecosystem. It was only a week ago that we heard rumors of this new venture, which seems to be a rethought [email protected] initiative that is adapted for broader purposes, and it's now official. 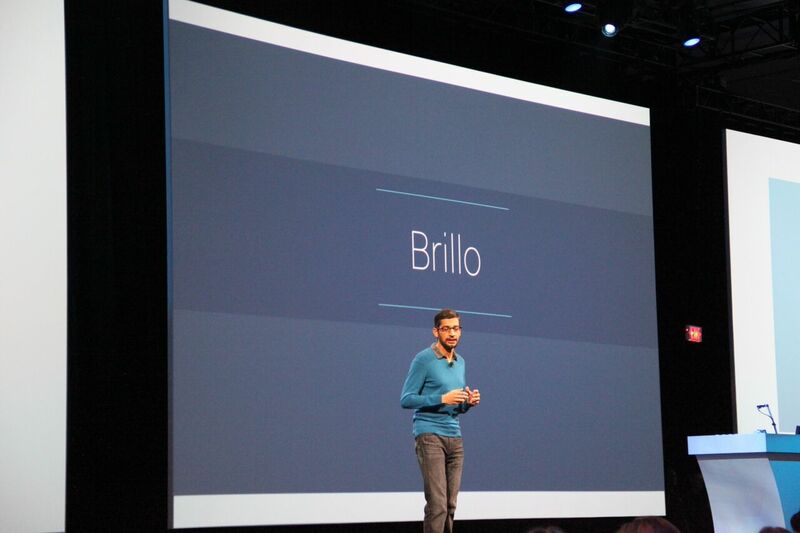 There are two pillars to Google's new ecosystem: Brillo and Weave. While information on both is still sparse for now, Brillo will be the OS that runs on the smart "things", while Weave is the communications layer between Brillo devices. 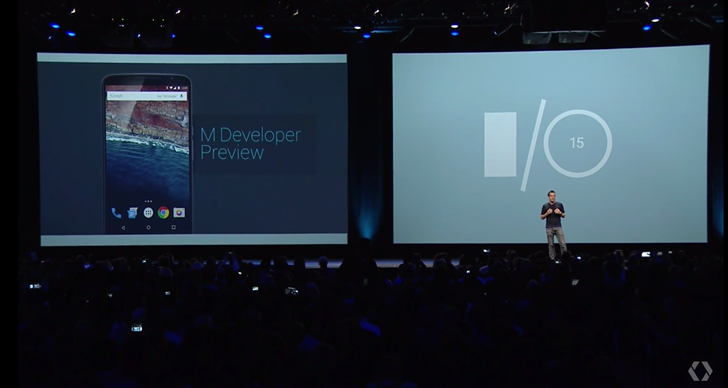 Google I/O is first and foremost a developer conference. New products may be announced at the keynote, but just about everything is really meant for the people that build the apps. 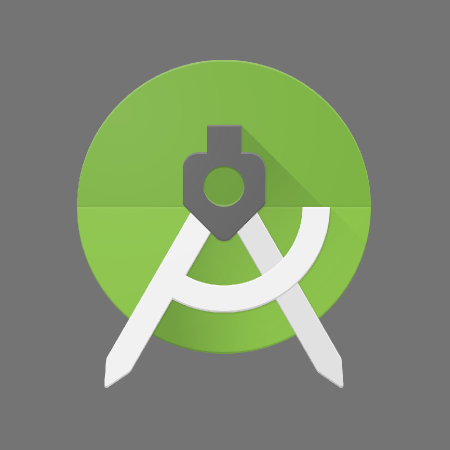 For Android developers, there are few things that matter more than their tools. Today, a fresh release of Android Studio hit the Canary channel, and it brings one of the most often requested features: C/C++ support. Android apps, as most people think of them, are usually written in Java and have a runtime environment that imposes some additional overhead on execution. Games and other performance-critical software are usually built with C or C++ and the Native Development Kit (NDK) so that they can avoid most of that overhead.